With the more expanding set of devices, other people, information and online services that are interconnected, we are start seeing the beginning of the “the internet of things” that we need to get our heads around and start understand how to use accordingly. Recently at the Gartner/Symposium ITxpo 2015, Gartner revealed there “Gartner’s Top 10 Strategic Technology Trends” that is driven by the internet of things. At the Symposium Gartner outline 10 trends – here is an outline of these 10 trends accordingly to Gartner. All devices such as cars, cameras, appliances, and more are connected in an expanding set of endpoints people use to access applications and information, or interact with people, social communities, governments and businesses. As the device mesh evolves connection models to expand and greater cooperative interaction between devices to emerge. All digital interactions can become synchronized into a continuous and ambient digital experience that preserves our experience across traditional boundaries of devices, time and space. Users can interact with an application in a dynamic multistep sequence that may last for an extended period. The experience blends physical, virtual and electronic environments, and uses real-time contextual information as the ambient environment changes or as the user moves from one place to another. There is continued advances in 3D printing with a wide range of materials, including advanced nickel alloys, carbon fiber, glass, conductive ink, electronics, pharmaceuticals and biological materials for practical applications expanding into aerospace, medical, automotive, energy and the military. Recent advances make it possible to mix multiple materials together with traditional 3D printing in one build. This could be useful for field operations or repairs when a specific tool is required and printed on demand. Biological 3D printing — such as the printing of skin and organs — is progressing from theory to reality, however, politicians and the public don’t have a full understanding of the implications. Everything surrounding us in the digital mesh is producing, using and communicating with virtually unmeasurable amounts of information. Organizations must learn how to identify what information provides strategic value, how to access data from different sources, and explore how algorithms leverage Information of Everything to fuel new business designs. Advanced machine learning is what makes smart machines appear “intelligent” by enabling them to both understand concepts in the environment, and also to learn. Through machine learning a smart machine can change its future behaviour. Advanced machine learning gives rise to a spectrum of smart machine implementations — including robots, autonomous vehicles, virtual personal assistants (VPAs) and smart advisors — that act in an autonomous (or at least semiautonomous) manner. This feeds into the ambient user experience in which an autonomous agent becomes the main user interface. Instead of interacting with menus, forms and buttons on a smartphone, the user speaks to an app, which is really an intelligent agent. The complexities of digital business and the algorithmic economy, combined with an emerging “hacker industry,” significantly increase the threat surface for an organization. IT leaders must focus on detecting and responding to threats, as well as more traditional blocking and other measures to prevent attacks. The digital mesh and smart machines require intense computing architecture demands to make them viable for organizations. They’ll get this added boost from ultra-efficient neuromorphic architectures. Systems built on GPUs and field-programmable gate-arrays (FPGAs) will function more like human brains that are particularly suited to be applied to deep learning and other pattern-matching algorithms that smart machines use. FPGA-based architecture will allow distribution with less power into the tiniest IoT endpoints, such as homes, cars, wristwatches and even human beings. The mesh app and service architecture are what enables delivery of apps and services to the flexible and dynamic environment of the digital mesh. This architecture will serve users’ requirements as they vary over time. It brings together the many information sources, devices, apps, services and micro services into a flexible architecture in which apps extend across multiple endpoint devices and can coordinate with one another to produce a continuous digital experience. IoT platforms exist behind the mesh app and service architecture. The technologies and standards in the IoT platform form a base set of capabilities for communicating, controlling, managing and securing endpoints in the IoT. The platforms aggregate data from endpoints behind the scenes from an architectural and a technology standpoint to make the IoT a reality. A video replay of this Gartner Symposium/ITxpo presentation is available on Gartner Events on Demand. Gartner clients can learn more in the report “Top 10 Strategic Technology Trends for 2016: At a Glance“. 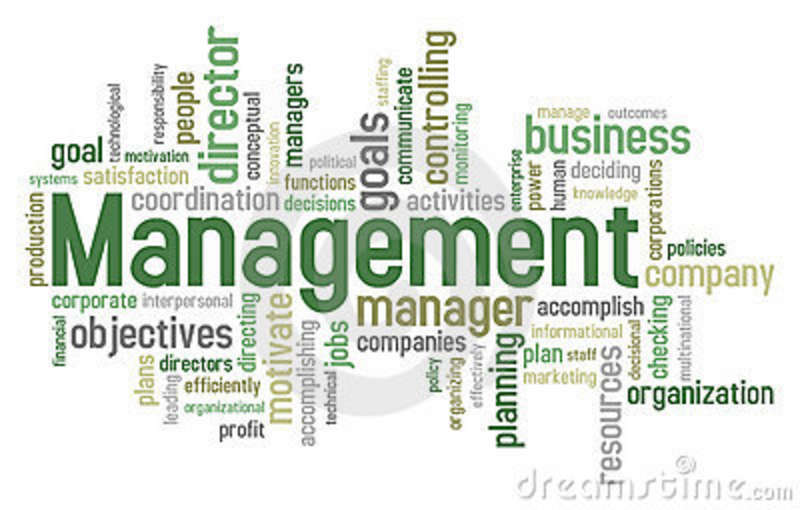 Can everyone become a great manager?